If it’s your dream to start an online business or blog, then you probably feel overwhelmed with all the things you need to do. There’s a million moving parts, and it’s hard to figure out exactly where to start. With so much to do, how on earth are you supposed to know what you should be spending your time on? I can tell you from my own blogging experience that there is one thing you can do right now that will continue to pay off for years to come – build an email list. Social media platforms come and go, but an email list is an anchor in a constantly shifting online world. Emails are stable, secure, and direct. A strong email list is arguably the best ways to make money as an online business. And it needs to have priority over just about anything else when you are starting your blog. You should start collecting reader’s emails from day one. Actually, you should start to build an email list before your blog even launches. With ConvertKit, you can build a beautiful landing page to begin collecting emails from your excited audience, even if you only have a Facebook page, Instagram, Twitter, or Etsy shop. Looking back, I wish I had started much sooner with building my list. I waited until I was blogging for probably four months before I nervously started my email list. If I had known that it’s a fantastic way to gauge interest and hone my future content, I would have been all over that like white on rice. While I can’t go back and tell my past self how beneficial it is to build an email list, I can tell you to not make my mistake. When you are trying to build an email list, you can’t just throw a sign up form on your site and wait for the subscribers to roll in. Well, you obviously can, but it will only end in disappointment and frustration for you. Instead of setting yourself up for failure, try following these three simple tips to kick your list building to another level and get people excited to join! These tricks are the same ones that I use to get over 2,000 new subscribers a month, so I know for a fact that these methods work. First of all, you want to have a nice clean site. Make sure that your blog is easy to read, isn’t cluttered with tons of sidebars and add-ons, and is pretty to the eye. When in doubt, head to blogs that you enjoy and study the design. Pay attention to the colors, the fonts, the photos, and the general layout. There’s a reason you gravitate to those sites instead of others in the niche, so figure it out and apply those same elements and styles to your site. 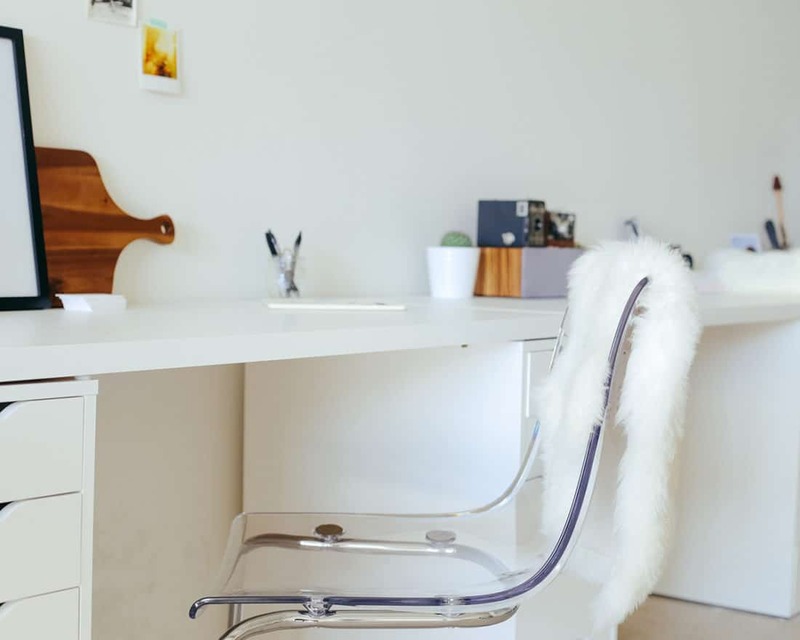 Whatever you do, don’t make your blog too busy or chaotic. That’s a common but damning mistake for young sites. Don’t have a site? That’s fine, too! Then you just need a landing page (if you want to start your own blog, here is a step-by-step guide). A landing page is the the page that you direct people to while your site is being built. It should have the same sort of style that your blog will have. And like I said above, keep it clean and easy to read. Perhaps you could add a description of what the site will be about, a short bio, or anything you think will get people excited about your upcoming blog! ConvertKit offers landing pages with tons of easy to use templates to help you create a stunning landing page. That’s how I made this landing page! Make it easy to sign up! By this I mean have sign in forms all over your site. If you notice, I have sign up boxes in just about every nook and cranny of my blog. There’s a box at the end of each of my posts as well as in the body of the posts. There’s a sign up box in my sidebar. I even have an exit-intent pop up. Tons of people are shy about placing sign up forms around their site, thinking that too many boxes will irritate readers. But from experience, I have never had a single person complain to me about too many sign up forms. So don’t be timid about putting the option out there! Keeping your email sign up hidden away is only harming you and benefiting no one. You want to give people every opportunity to sign up. Typically, people will have to see an option to sign up six or seven times before they finally do it, so don’t be shy about reminding them! Another thing that’s neat about ConvertKit is that you can make it so people who’ve already signed up don’t see many of these boxes. Cool, right? So if you are concerned about being a bother, you can take a breath. It’s all good! The final, and perhaps most important tip for growing your email list is to provide value. By that, I mean a lead magnet. A lead magnet is a free worksheet, printable, checklist, or whatever that gives your reader some instant value. It could even be something as simple as one of your most popular blog posts reformatted slightly for download, and people will love it! Emails are currency on the internet, and you can’t expect people to just give that to you for free. You have to give them something in return! Really, anything that is within your niche is a great way to entice people to sign up. Whatever it is, though, make it exclusively for people who sign up! Don’t offer a printable and then feature that printable in a blog post. It tarnishes the allure if it’s not expressly for your email list, and people will be frustrated if they pay for something with their email address only to discover that you’re giving it away for free elsewhere. Make the email list like an exclusive club, and those members get certain benefits that no one else can have unless they sign up. While you do have to do work to build an email list, it really isn’t that hard. Just make the choice super easy for your readers by making the sign up forms clear and the lead magnet juicy! 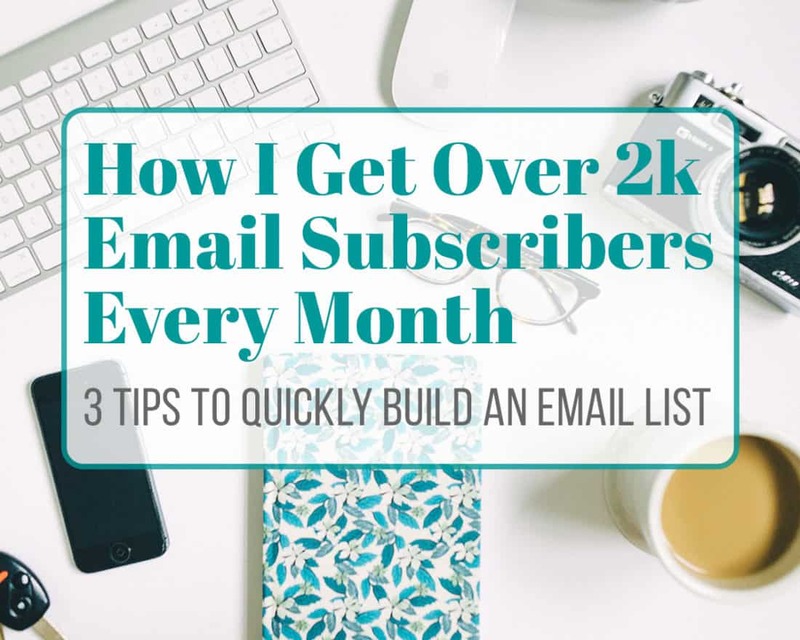 You’ll have people scrambling to sign up and enjoy your fantastic content, and before you know it, you’ll find your email list growing like crazy. Remember that the sooner you start your email list, the better. You might be nervous about asking for emails from your audience, but there are people out there who would love to get emails from you. As a blogger, you are a content creator, and that means that your audience wants to hear what you have to say. So give them what they want and build an email list for your incredible content! When I look back on all that wasted opportunity from waiting so long to start building, I groan. I know now that it would have propelled me to greater heights even faster if I had only gotten started. Don’t make my mistake! Head over to Convertkit and start building your list today to start your blog or online business the right way! 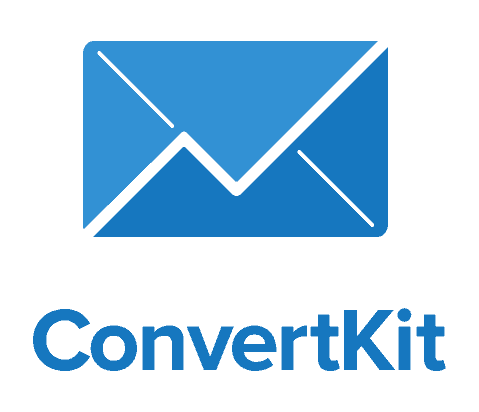 Convertkit Price: Starting at $29 Convertkit is my goto newsletter service and has been essential in helping me grow my blog.